Chequered Skipper or Arctic Skipper, Gelbwurfeliger Dickklopffalter, Hesperie du brome, Толстоголовка палемон. The species is is widely distributed in northern and central Europe although not found in Italy, Portugal, Ireland, Denmark, and only found very locally in Spain, the UK, and Greece. Its range extends across Asia and japan and also into North America (where it is known as the Arctic skipper), across southern Canada and the parts of northern United States including New England, the Great Lakes area and the northwestern States, as far south as northern California. 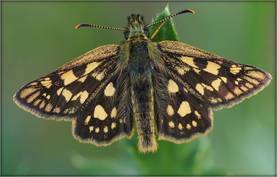 The Chequered Skipper is a boreal species with relict populations in Caucasus. There is only one historical record of the species exists from Northern Armenia. It is known that the species inhabits humid meadows, which in Northern Armenia occur at the elevation range between 1800 and 2400 m a.s.l. The area, where Chequered Skipper was found is not heavily used by human activities and thus, still there is a chance that the species was not exterminated from the country. Wide variety of host plants are known for the species, e.g. Bromus spp., Elytrigia spp., Brachypodium spp., and Cynosurus spp., which also occur in Armenia. The flight period is guessed from the single record and the literature and is assumed from early June to early July. Nothing is known about the population size, abundance, and trends for the species in Armenia. Apparently, although pretty much is known for the species in the world, almost nothing is known about it for Armenia. Therefore the first step for the species conservation is identification of its presence and if successful – designation of a protection status to the land until the research on the species can be conducted and its conservation status could be reassessed. 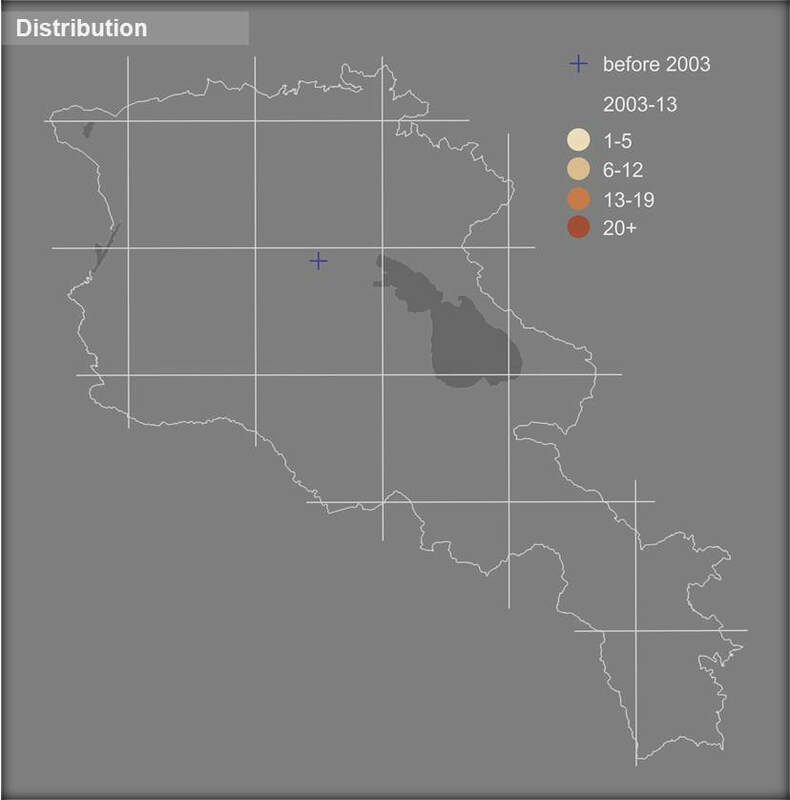 Meanwhile, the current conservation status in Armenia is suggested as Data Deficient. It was not evaluated for Global and National Red lists, and is not included in CITES and Bern Conventions, but received a status of Least Concern in European Red Book. The site of its historical record is not included in the protected areas of Armenia.